Beer geeks have always loved their “growlers” – carryout pitchers and jugs made usually of brown glass – to enjoy their favorite crafts at home. Though the haul has never been easy – what with spillage and breakage during transport and having to bring empty growlers back to the brewery each time for refills — beer connoisseurs have done it without complaint for years and years because they wanted to enjoy their favorite draughts in the comfort of their own living room. But now, there’s something better and even more trendy: “crowlers”. 32-oz tin cans that will hermetically seal your beer for pub-like freshness, and no leaks, spills and refilling either! 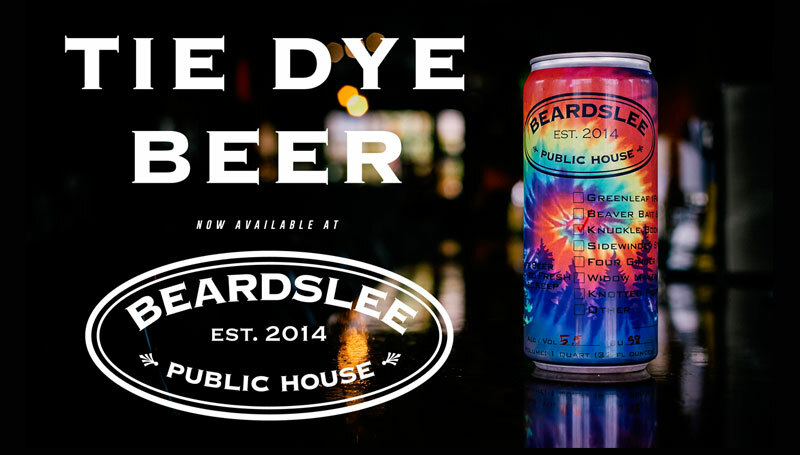 Beardslee Public House in Bothell has just introduced crowlers for patrons who often ask to take their craft beer selection home. And the takeaway cans are beautifully designed too, with fluorescent, tie-dye colors. If you’re a fan of Beardslee’s ales and their seasonally brewed, special craft beer, this is great news. Beardslee’s crowlers are sealed airtight, so carbonation cannot leak out like they often do with flip-top growlers or those with screw-on caps. It keeps sunlight out as well. Glass growlers make craft beer lose some of its flavor because of easy exposure to sunlight, and though some companies experimented with darker glass to mitigate the dulling effect of UV rays, they weren’t as effective as the opaque metal that crowlers are made with. So next time you’re at Beardslee, enjoying its scratch-casual, farm-to-table cuisine and tasting one of their delicious craft ales, make the pleasure last longer by taking a crowler of your favorite craft beer home!